Professional diagnostic tools specifically created for Jaguar vehicles that will thoroughly diagnose and tune it's various systems. 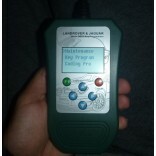 “ Most Advanced Jaguar and Land Rover Scanner and Programmer - Released Yet! ” ..